When it comes to sports betting there is a huge number of terms you should be aware of. To provide you with all important terms we created this glossary in alphabetical order for you. Especially newcomers to the betting business don't know a lot of these terms so you can check them out whenever you want and wherever you are. Accumulator It's a multiple bet where you choose two or more selections. To win an accumulator every selection has to win. Another term is the 'Parlay' bet or 'Multiple'. Action To place any kind of bet. Another term is 'Bet'. Advantage A bookmaker's commission. Another term is 'Edge', 'Margin' or 'Juice'. Ante Post That's a bet that is placed in advance to predict the outcome of a future event. Another term is 'Futures'. Arbitrage Also known as 'Sure bet'. Bookmakers offer different odds on an outcome so you can back both sides of this event for a guaranteed profit. Back bet Betting on a particular event to happen. The opposite is the Lay bet. Banker A selection that is highly expected to win. That's the favourite out of the favourites. Another term is 'Lock'. Bankroll Your bank size in your bookmaker account. Bet To place any kind of bet. Another term is 'Action'. Betting line A betting opportunity with odds. Another term is 'Line'. Betting Tax A Tax on a bookmakers turnover. Another term in the UK is 'Duty'. Bettor People like all of us who place a bet. Another term is 'Gambler', 'Punter' or 'Player'. Bookmaker Organization which allows you to place a bet like Bet365, William Hill and others. Another term is 'House', 'Sportsbook' or 'Odds compiler'. Bookie A slang term for Bookmaker. Bonus Rewards for members at a bookmaker. BR Short term for Bankroll. Chalk A favourite team or horse. Chalk player That's a bettor who rarely bets on underdogs but more on favourites. Circled game A game where the bookmakers set staking limits. Colt A male horse that is 4 years or younger. Daily double A bet in which the bettor chooses the winning horses of two races. Both horses must win to win the bet. Dead heat Two horses finish exactly equal. Both horses will be declared as winners and the bettors receive half of their winnings. Dog A team or horse that is not expected to win. Another term is 'Underdog' or 'Outsider'. Dog Player That's a bettor who bets on underdogs. Double A bet on two events. It can be two different events or two bet types on the same event. Both bets must win to win the double. Draw None of the two teams in a match can win so their points will be shared. Another term is 'Push' or 'Tie'. Each way Betting on a horse to win and finish within the first 2-4 places. Edge A bookmaker's commission. Another term is 'Advantage', 'Margin' or 'Juice'. Event Another term for any kind of event, race, tournament or match. Exacta Two horses will be backed to finish 1st and 2nd in a race in the exact order. Another term is 'Forecast' or 'Perfecta'. Exposure The amount of money a bookmaker can lose on a particular event. Favourite A horse or team which might win this race or match. The favourite has always the lowest odds. Favoured A team or horse which is favoured by the bettor. It can be the favourite but sometimes it can be the outsider. Field All competitors in an event. Filly A female horse that is 4 years or younger. Firing Betting large amounts on an event. First Half bet A bet just for the outcome of the first half. It doesn't matter what will happen in the second half. Fixed game A game which will be manipulated by one competitor or team. Fold An indication of the number of selections in an accumulator (4 bets in one accumulator would be a 4-fold accumulator). Football 1) The European term for soccer or 2) the american sports which Europeans know as American Football. Form The recent results of a horse or team. For example the five-match form of Bayern Munich could be win, win, draw, win, lose. Forecast Two horses will be backed to finish 1st and 2nd in a race in the exact order. Another term is 'Exacta' or 'Perfecta'. Furlong An indicator of the distance of a horse race. One furlong equals to 1/8 of a mile or 220 yards. Futures That's a bet that is placed in advance to predict the outcome of a future event. Another term is 'Ante Post'. Gambler People like all of us who place a bet. Another term is 'Bettor', 'Punter' or 'Player'. Handicap The favourite team or horse has a point deduction and the underdog has points added to even up the bet. Another term is 'Point spread'. Handicapping The attempt to predict the outcome of a match or race. Handle Total amounts of bets taken. Hedging Placing an opposite bet to your first bet to cut losses or guarantee a small win. Heinz A multiple bet consisting of 57 bets involving 6 selections in different events (15 doubles, 20 trebles, 15x4 folds). Home Team The team that is playing in their own stadium. Horse Racing The most popular sport in the UK and Ireland. Horses contest to win prizes. Hot game A game with many bets on one side. 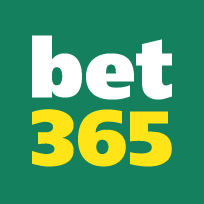 House Organization which allows you to place a bet like Bet365, William Hill and others. Another term is 'Bookmaker', 'Sportsbook' or 'Odds compiler'. Ice-Hockey A popular sports in Europe and America. Two teams contest on ice to score as many goals as possible. Joint favourites Two teams or horses have the same odds so both of them are favourites. Juice A bookmaker's commission. Another term is 'Advantage', 'Margin' or 'Edge'. Lay bet Betting on a particular event NOT to happen. The opposite is the Back bet. Lengthen When a bookmaker for whatever reason changes the odds to a higher odd. The opposite is 'Shorten'. Limit The maximum amount a bookmaker will allow the bettor to place. Line A betting opportunity with odds. Another term is 'Betting Line'. Linemaker A person that sets the betting lines. Lock A selection that is highly expected to win. That's the favourite out of the favourites. Another term is 'Banker'. Long shot A team or horse which has by far the biggest odds. It's a big underdog/outsider. Lucky 15 15 bets involving 4 selections in different events (I.e. 4 singles, 6 doubles, 4 trebles and 1 fourfold). Lucky 31 31 bets consisting of 5 selections in different events (I.e. 5 singles, 10 doubles, 10 trebles, 5 fourfold plus 1 five-fold). Lucky 63 63 bets consisting of 6 selections in different events (I.e. 6 singles, 15 doubles, 20 trebles, 15 four-fold, 6 five-folds, and 1 six-fold). Margin A bookmaker's commission. Another term is 'Advantage', 'Juice' or 'Edge'. Mare A female horse that is 5 years or older. Margin The distance a horse finishes in front of another horse. Multiple It's a multiple bet where you choose two or more selections. To win an accumulator every selection has to win. Another term is the 'Parlay' bet or 'Accumulator'. NAP The best bet of the day by newspapers or tipsters. NB - Next Best That's the next best bet of the day after the NAP. So it's the second choice of the tipster or newspaper. Neutral site A stadium or arena where no one has the home advantage. No Action A bet where no money is lost or won. Normal Time That's the time which usually counts for your placed bets. In soccer the usual time is 90 minutes (2 x 45 minutes). If not otherwise specified, it doesn't include extra time, golden goals and penalty shootouts. Odds The bookmaker's evaluation of a team's winning chance. The odds include a profit for the bookmakers which is know as the bookmaker's edge. Another term is 'Price'. Odds on Odds that are lower than evens. Evens is 1/1 or 2.00 so the odds are 1.99 or lower. Odds compiler/ Oddsmaker Organization which allows you to place a bet like Bet365, William Hill and others. Another term is 'House', 'Sportsbook' or 'Bookmaker'. Out A term for an illegal bookmaker. Outsider A team or horse that is not expected to win. Another term is 'Underdog' or 'Dog'. Overlay When the odds are in favour of the bettor and not of the house. Over A bet on points or goals to be higher than the given number. If you bet on Over 2.5 Goals you win your bet if there are 3 goals or more. Parlay It's a multiple bet where you choose two or more selections. To win an accumulator every selection has to win. Another term is the 'Accumulator' bet or 'Multiple'. Past Post Placing a bet after the event has started. Patent 7 bets involving 3 selections in different events, i.e. a single on each selection, plus 3 doubles, and 1 treble. Payout That's the amount of money you receive when winning your bet. Another term is 'Winnings' or 'Return'. Perfecta Two horses will be backed to finish 1st and 2nd in a race in the exact order. Another term is 'Exacta' or 'Forecast'. Pick When none of the teams is really favoured. Place Betting on a horse to finish within the first 2-4 places. Player People like all of us who place a bet. Another term is 'Bettor', 'Punter' or 'Gambler'. Point Spread The favourite team or horse has a point deduction and the underdog has points added to even up the bet. Another term is 'Handicap'. Postponed An event has been cancelled and rescheduled for a later date. Price The bookmaker's evaluation of a team's winning chance. The odds include a profit for the bookmakers which is know as the bookmaker's edge. Another term is 'Odds'. Pucks A slang term for Ice-Hockey. Punter People like all of us who place a bet. Another term is 'Bettor', 'Player' or 'Gambler'. Push None of the two teams in a match can win so their points will be shared. Another term is 'Draw' or 'Tie'. Return That's the amount of money you receive when winning your bet. Another term is 'Winnings' or 'Payout'. Scratch A horse is withdrawn from a race before the start so all bets will be cancelled and amounts will be refunded. Shorten When a bookmaker for whatever reason changes the odds to a lower odd. The opposite is 'Lengthen'. Single bet Placing just one bet instead of doubles or accumulators. Single bets are the most common bets and the recommended ones. Another term is 'Straight bet'. Soccer Also known as Football in Europe. Two teams play against each other for 90 minutes and win by scoring the most goals. Sportsbook Organization which allows you to place a bet like Bet365, William Hill and others. Another term is 'House', 'Bookmaker' or 'Odds compiler'. Stake The amount of money you place on each bet. Another term is 'Wager'. Straight bet Placing just one bet instead of doubles or accumulators. Single bets are the most common bets and the recommended ones. Another term is 'Single bet'. Sucker bet A betting line with a large house edge. Super Heinz 120 bets involving 7 selections in different events, i.e. 21 doubles, 35 trebles, 35 four-folds, 21 five-folds, 7 six-folds and 1 seven-fold. Super Yankee Multiple bet also known as 'Canadian'. A Super Yankee is a Yankee type bet with five selections instead of four. Sure bet Also known as 'Arbitrage'. Bookmakers offer different odds on an outcome so you can back both sides of this event for a guaranteed profit. System A betting method based on statistics or connections to give the bettor a great advantage. Tennis A popular sports between two competitors (Single match) or two groups of two competitors (Double match). Tie None of the two teams in a match can win so their points will be shared. Another term is 'Draw' or 'Push'. Tips Selections or predictions of an outcome. Often prepared by an expert or so called 'Tipsters'. Tipster Someone who offers selections on events for free or on a paid basis. Trifecta Three horses will be backed to finish 1st, 2nd and 3rd in a race in the exact order. Treble A form of an Accumulator with three selections combined. Every selection must win to win the treble. Trixie A Trixie consists of 4 bets involving 3 selections in different events, i.e. 3 doubles plus 1 treble. True odds The real chance of a particular event to happen. If the true chances are higher than the odds suggest you have a value bet. Under A bet on points or goals to be lower than the given number. If you bet on Under 2.5 Goals you win your bet if there are 2 goals or less. Underdog A team or horse that is not expected to win. Another term is 'Outsider' or 'Dog'. Union Jack A bet consisting of 8 trebles on 9 selections A to I: ABC, DEF, GHI, ADG, BEH, CFI, AEI, and CEG. Value Getting the very best odds on a particular event. The bookmaker's edge has to be low and the real winning chances must be higher than the odds suggest. Winnings That's the amount of money you receive when winning your bet. Another term is 'Payout' or 'Return'. Wise guy A well informed handicapper or bettor. Wager The amount of money you place on each bet. Another term is 'Stake'. Yankee A bet that consists of four selections, combining them into six doubles, four trebles and one fourfold - i.e. eleven bets.